Only two hours appart from Junin and in the town of Piedra del Aguila youl find the magnificent Limay river. This big river has changing flows because is the tail water of the Pichy Leufu dam. Habitat of the biggest browns around and with one of the most strong rainbows to. Fishing this river is really special because the size of it, the weather and fishing conditions. This section has 55 miles from the dam to the lake were it flows into, close by to Picun Leufu town. In this lake is were most of those giant brown lives and ate the end of the summer start swiming up the river looking for their sponing areas. 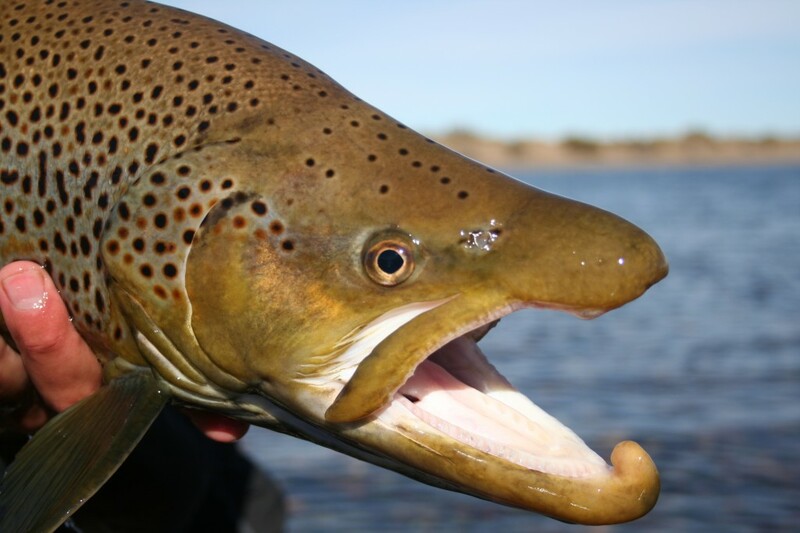 This is a great oportunity for us to find and fish those browns on the river . It is not an easy game but if you target this right can be the fishing of you life time, it is always good to spend some time in this kind of water.